Originally built in 1905 to house the Budapest Stock Exchange, the grand Beaux Arts monumental building was designed by the famous Hungarian architect Ignác Alpár. Exchange Palace was home to the Hungarian national television station MTV since 1955. The 50,000 m2 palace is the largest privately owned historic landmark in Budapest. 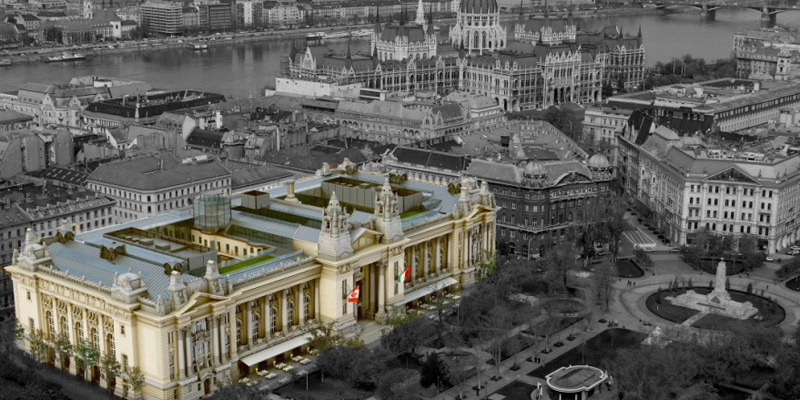 It is centrally located in the heart of Budapest’s financial and government district, and will be redeveloped into first class retail and office space.